If there’s one thing I love about the weather starting to change, it’s that I get to start wearing fall sweaters. 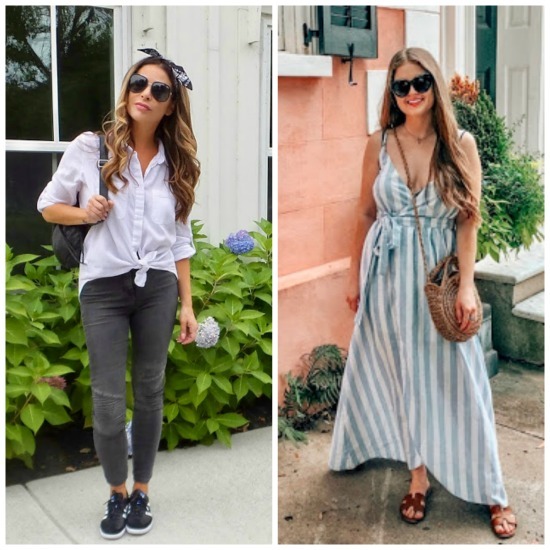 I’ve already found so many great ones that I can’t wait to add to my closet and I’m sharing some of the with you below. 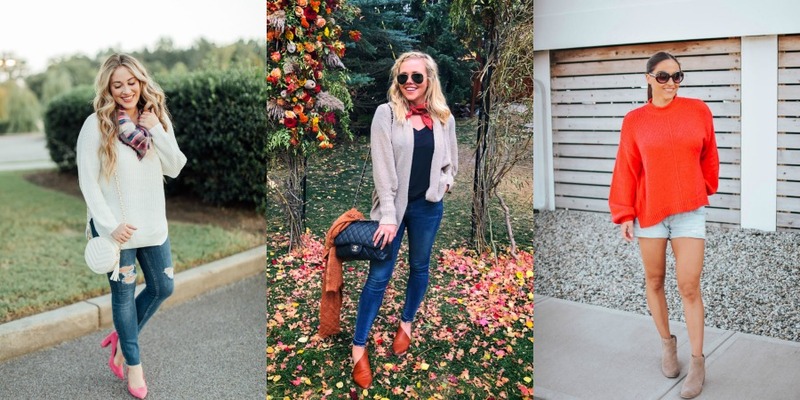 The greatest thing about all these fall sweaters is that every single one is UNDER $50! The sweater that I’m wearing in these photos finally came back in stock and I promise, it’s a good one! 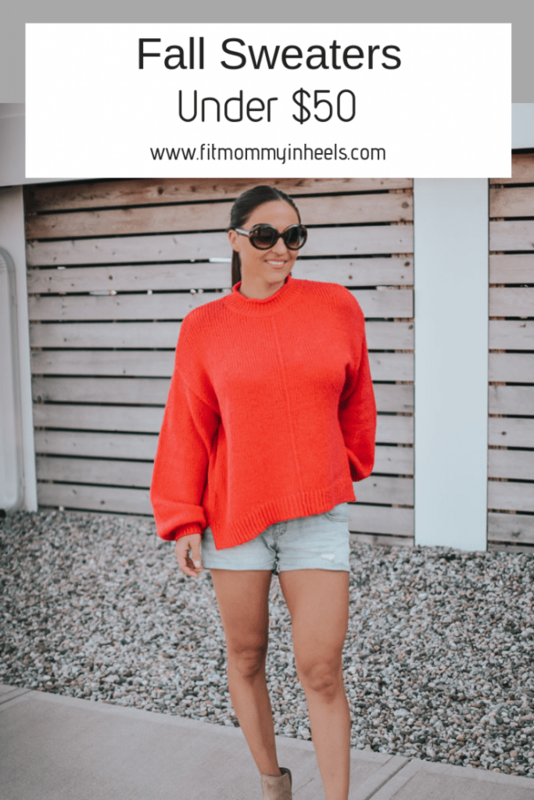 I love being able to pair sweaters with shorts and booties in the fall like I did here. We don’t get this beautiful weather for too long here in NJ so I’m enjoying it while we can! because we loved their Free Day looks from last week’s linkup (can you tell Maroon is all the rage)! Share this post to Pinterest via the image below! Lady, your legs look AMAZING in these shorts! Great fall look, I need your sweater! Thank you! That makes me feel so good because I lost so much muscle the last few months being pregnant!!!! !